Description CARFAX 1-Owner, GREAT MILES 23,275! FUEL EFFICIENT 34 MPG Hwy/28 MPG City! Navigation, Dual Zone A/C, Onboard Communications System, Remote Engine Start, WiFi Hotspot, Cross-Traffic Alert, Smart Device Integration, Back-Up Camera SEE MORE! Back-Up Camera, Onboard Communications System, Aluminum Wheels, Remote Engine Start, Dual Zone A/C, Smart Device Integration, Blind Spot Monitor, WiFi Hotspot, Cross-Traffic Alert Rear Spoiler, Keyless Entry, Privacy Glass, Child Safety Locks, Steering Wheel Controls. AUDIO SYSTEM WITH NAVIGATION, AM/FM/SIRIUSXM STEREO, SINGLE CD PLAYER AND MP3 PLAYER with navigation, IntelliLink with 7" diagonal color LCD display, GPS navigation system, USB port, Radio Data System (RDS) and auxiliary input jack, ENGINE, TURBO 1.4L VARIABLE VALVE TIMING DOHC 4-CYLINDER DIRECT INJECTION SIDI with start/stop mode (153 hp [114.1 kW] @ 5600 rpm, 177 lb-ft of torque [239.0 N-m] @ 2000-4000 rpm) (STD), TRANSMISSION, 6-SPEED AUTOMATIC, ELECTRONICALLY-CONTROLLED with overdrive, includes Driver Shift Control (STD). Buick Sport Touring with WINTERBERRY RED METALLIC exterior and EBONY interior features a 4 Cylinder Engine with 153 HP at 5600 RPM*. 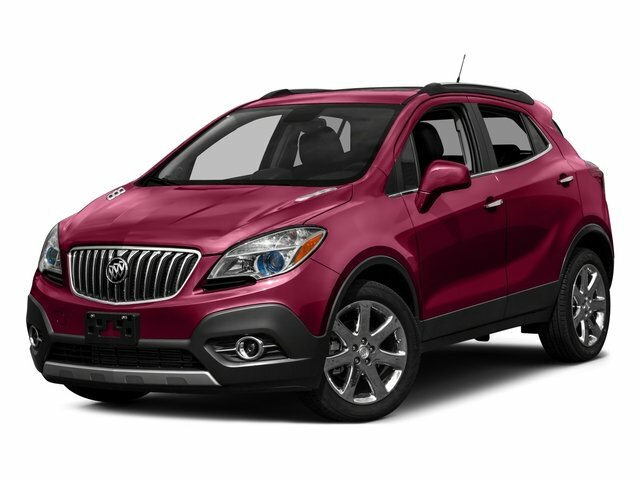 Edmunds.com's review says "The 2016 Buick Encore features comfortable front seats and a high seating position that offers a commanding view of the road.". Great Gas Mileage: 34 MPG Hwy.